1/2 of Deaths From Cancer Linked to Cigarettes? A research study carried out by the American Cancer Society has revealed that roughly half of deaths in the US caused by 12 smoking-related cancers may be linked directly to cigarette use. The largest proportion of deaths associated with smoking were for cancers of the lung, bronchus, trachea and larynx, though around half of the fatalities caused by oral cavity, oesophagus and bladder tumours were also tied directly to cigarette smoking. The proportion of cancer deaths was estimated by using a formula to calculate the number of cancer cases that would not have occurred had there been no smoking, with the conclusion that, out of 345,962 cancer deaths among Americans aged 35 and over, 167,805 were associated directly with smoking. 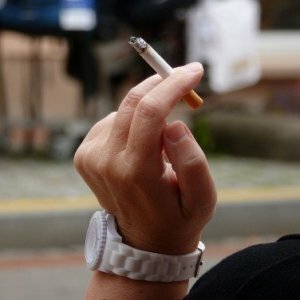 The researchers also analysed data from national surveys and interviews about people’s smoking habits and health history. Many people are now making the switch to electronic cigarettes from traditional smoking, as e-cigarettes emulate the experience of smoking without many of the harmful chemicals that regular cigarettes contain – many of these chemicals help to cause cancer. If you’d like to switch to e-cigarettes, visit our website for a great range of products to help you get started, including starter kits, disposable and rechargeable e-cigarettes, e-cig refills and accessories. « Smoking May Worsen Acne Scars?